On its 15th birthday, electronica China closed successfully today, breaking records across the board and providing unparalleled opportunities for companies big and small to launch innovations to the Asian market. 1,088 exhibitors from 31 countries showcased at both trade fairs—electronica China and productronica China—their latest technologies across 62,000 square meters of exhibition space this week. 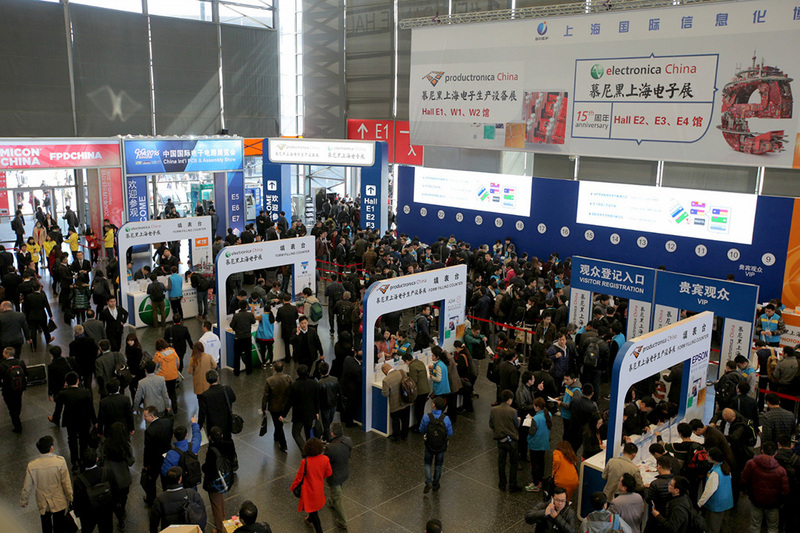 electronica China 2016 touched every major global industry and exhibited products and technologies that are connecting the world, enhancing lives and solving global challenges. 61,455 visitors from the electronics industry (55,635 in 2015) were drawn to this high-level business event. From automotive technologies such as autonomous driving, to wearables and IoT, the breadth and depth of innovations on display at electronica China is unmatched and growing. There are so many important technology trends at electronica China and the devices are no longer just connecting to the Internet, they are increasingly connected to each other. “Our first impression is that there are really a lot of visitors, especially in comparison to similar shows in Taiwan, Korea and other Asian countries.” commented Hisashi Oi, General Manager and Chairman of Greater China from TAIYO YUDEN in Shanghai. In the past 15 years, electronica China has grown significantly both - in terms of quantity and quality. The number of exhibitors has soared from 285 in 2002 to 1,088 in 2016 and the exhibition area has increased from 11,853 square meters to a record-breaking figure of 62,000 square meters. Visitor numbers are also growing continuously: starting with 15,218 visitors in 2002, electronica China and productronica China were able to attract 61,455 visitors in 2016. Segments such as semiconductors and passive components as well as the connectors offered opportunities for growth. The products that debuted at electronica China 2016 addressed many of the world’s most pressing problems, making improvements in healthcare, transportation, industry manufacturing, while creating new markets and new opportunities in Asia. Industry leaders and visionaries from the semiconductor segment such as Bosch, FUJITSU, ON Semiconductor, RENESAS, ROHM, STMicroelectronics, TOSHIBA, etc. presented their latest technologies and product solutions. Meanwhile, many leading companies exhibited in the connector segment. 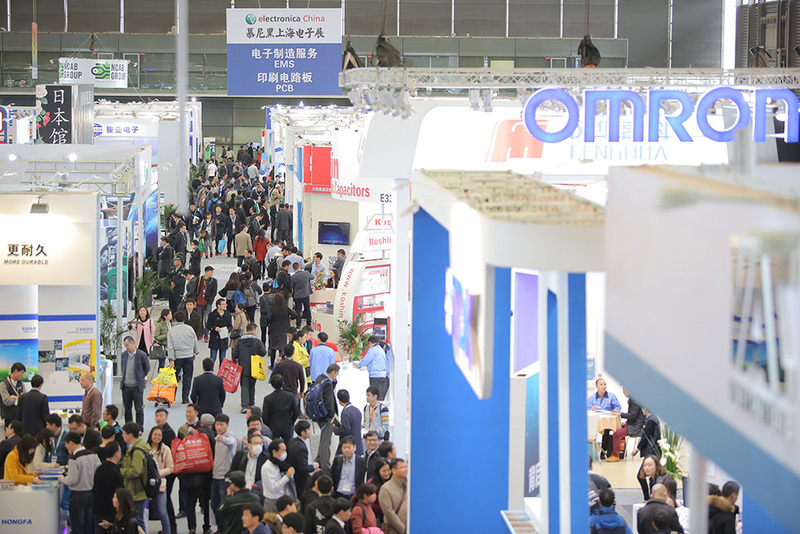 Through product exhibition, academic communication and knowledge exchange, the trade show has supported the development of the connector industry in China and the upgrade and transformation in application industries. This year’s electronica China Conference had 92 sessions, representing every major industry from automotive, power electronics, embedded and other industries. 3,715 attendees visited the conference. The topics of the supporting program varied from the latest Electronic Vehicle (EV), Internet of Things, wearables, medical, Micro-grid to Industry 4.0. The China International Automotive Electronics Conference was divided into two breakouts which were automotive electronics and Electronic Vehicle (EV). 32 speakers from the automotive electronics industry, including OEM and tier one suppliers discussed powertrain system, safety and telematics & ITS technologies and other rapidly evolving innovations. In addition, in-depth discussions on topics such as power electronics and embedded systems took place during the forums at electronica China. Especially at the embedded forum, top executives from major global brands took the advantage of the conference to introduce products, and discuss the latest trends of IoT covering the entire spectrum of electronics component technology. Next electronica China will be held in Shanghai from March 14 to 16, 2017.